This 1995 Range Rover Ad has special meaning for me. 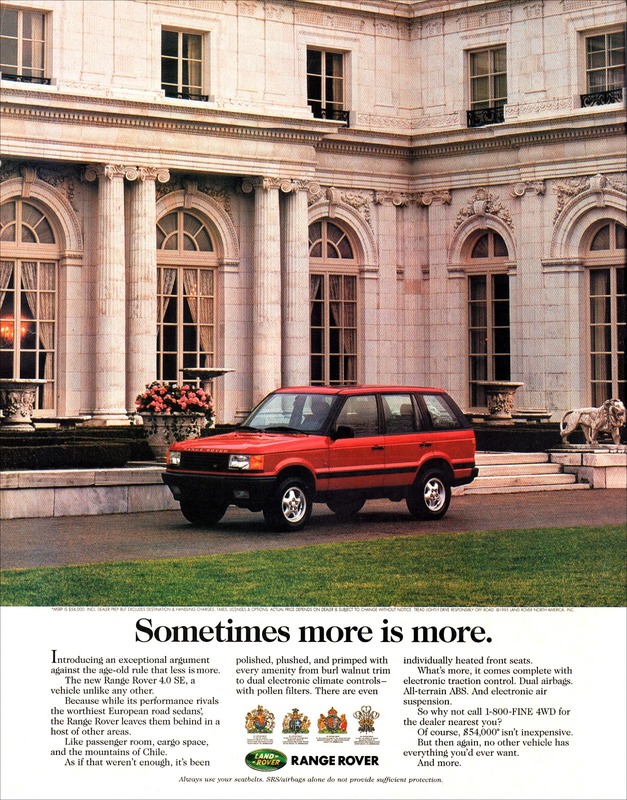 Seeing the photos and video of the all new 2014 Range Rover Sport made me think about this vintage 1995 Range Rover Ad. 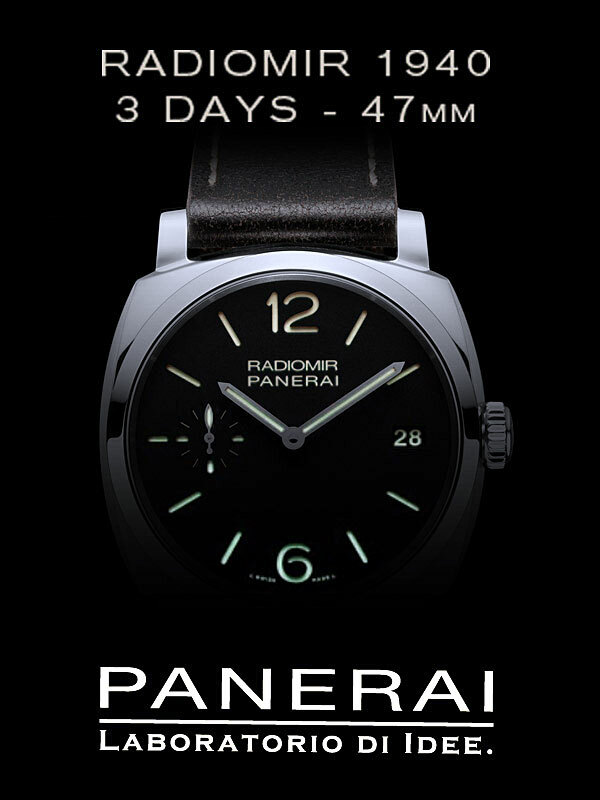 Back in 1995, I actually cut this ad from a magazine because It thought it looked so cool. I think I cut it from Architectural Digest, but I can't remember for certain. Seeing the recent launch of the Range Rover Sport made be think I should scan this ad and share it on Jake's Car World. Back in the late 1980s I owned a couple of Jeep Wagoneer's which I thought were so cool looking. They were not very well made, and they were not precise instruments, but what American car was in the late 1980s? I remember thinking is was fascinating how the Range Rover looked like a modernized version of the Jeep Wagoneer. The photo below shows a 1962 Jeep Wagoneer, and it is a fact that all the original Land Rover's were based upon Jeep design, as you can see in the Land Rover History Documentary located at the end of this story. 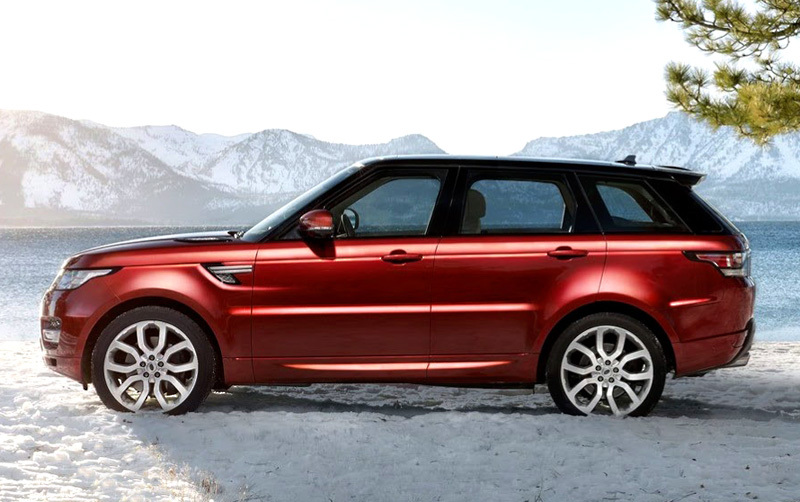 I have been a designer for the past 30 years and I have always wondered why Land Rover didn't take the Range Rover to the next level and make it much more aerodynamic while making its geometry really sporty, and give it a lower profile and stance. 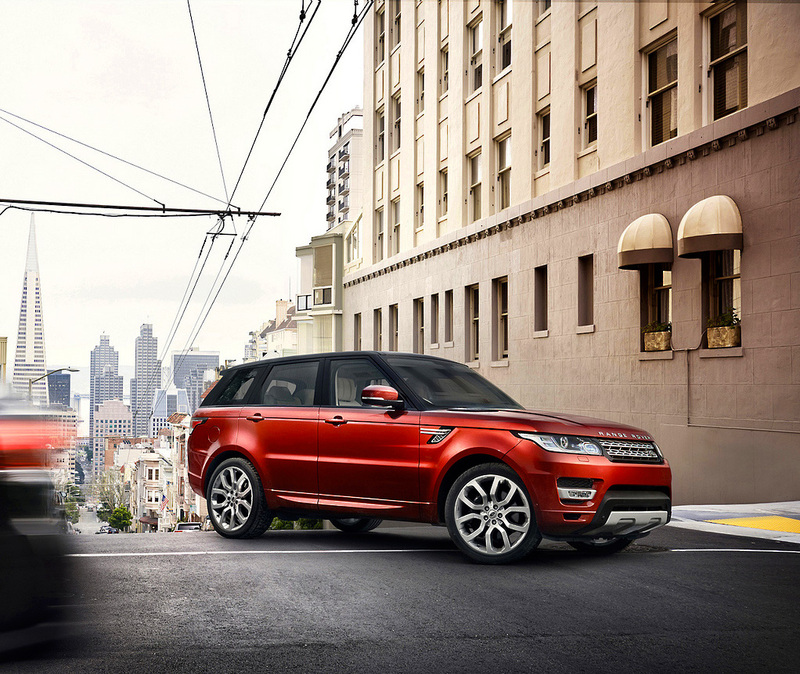 Well, last week Land Rover introduced the all-new Range Rover Sport, and they finally achieved my dream, as you can see from the image of the all-new 2014 Range Rover Sport below. The photo above is of the all-new 2014 Range Rover Sport, and the photo below is of a 1972 Jeep Wagoneer. 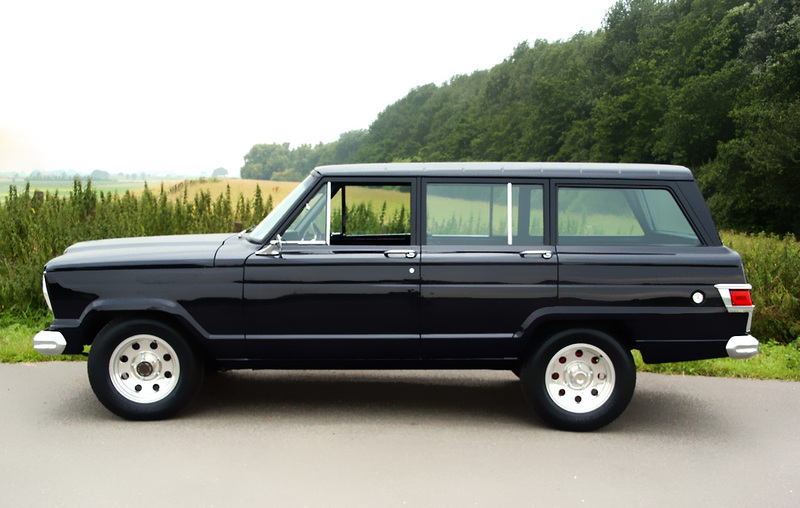 In my design mind, the 2014 Range Rover Sport pictured above looks like a thoroughly modernized version of the 1972 Jeep Wagoneer pictured below.